New Intuit's QuickBooks Enterprise Solution 2019 is a comprehensive Accounting and Financial Management Software which is rated #1 and is the best selling small business software. Intuit QuickBooks Enterprise Solutions, designed for small businesses, offers all the features of QuickBooks Premier plus additional tools to help you grow - all at a fraction of the cost of more complicated systems. With this most powerful QuickBooks you can import from your bank, process credit cards, run payroll, be ready for taxes and organize all your business finances in one place. 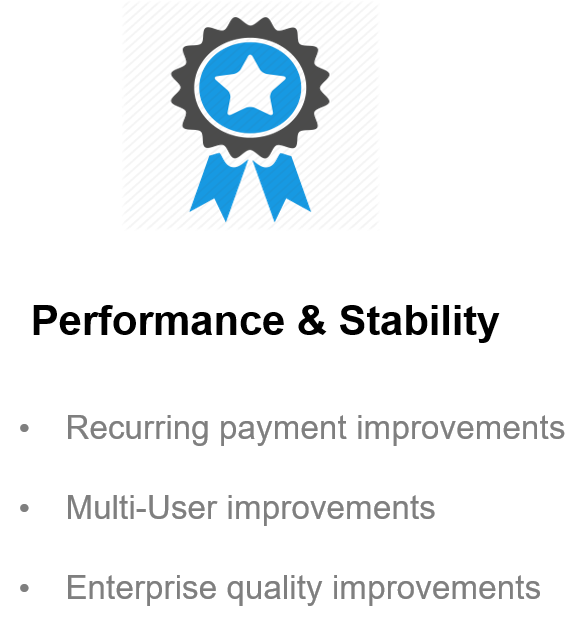 Silver subscription provides a great way to get started with QuickBooks Enterprise. 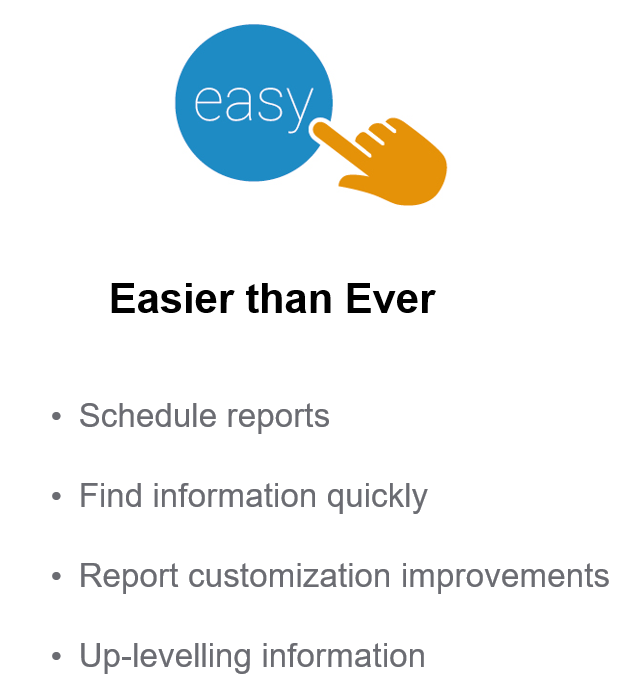 It includes the QuickBooks Enterprise software + Full Service Plan + Advanced Reporting. 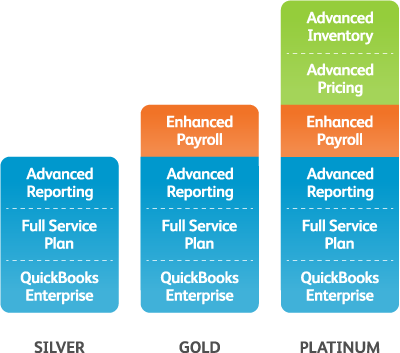 We offer monthly and annual subscription for QuickBooks Enterprise Solutions. QuickBooks Enterprise subscription is good for 12 months from purchase date or subscription renewal date. 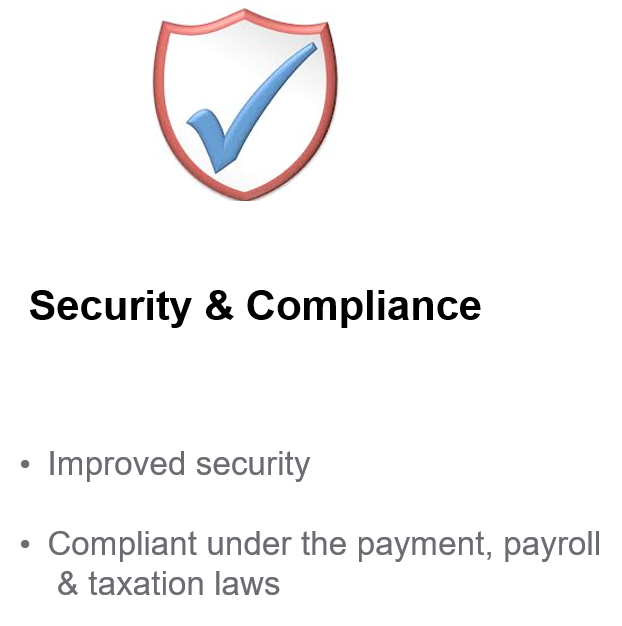 You have the option to add Intuit Data Protect for free as an active subscriber to QuickBooks Enterprise. Service begins as of the date activated and continues through to the expiration date of your QuickBooks Enterprise subscription. Authorized direct download from Intuit.com secure servers. No shipping costs. Click here for a comparison of the full line of QuickBooks Accounting Software. E-mail Estimates, Invoices and other forms with Microsoft Outlook 2010-2016, Microsoft Outlook with Office 365, Windows Mail, GmailTM, Yahoo! Mail®, and Outlook.com®. Pricing & Billing: In year one, starting at sign up, you will receive [X]% off the current list price of your annual subscription to QuickBooks Enterprise 2019. After year one, your credit card account on file will be automatically charged the then-current price of the QuickBooks Enterprise subscription every year, unless and until you cancel. You can cancel at any time by calling 1-866-379-6635 prior to your renewal date. Terms and conditions, pricing, features, service and support options are subject to change without notice. Product Service Interruption: Your service begins at time of sign up and continues through to the expiration date of your QBES subscription. If you cancel your subscription, you will have access to your company file, but you will no longer have access to QuickBooks Enterprise and all services that are included with your subscription. You can start an ES free trial subscription to read your data, and then cancel your free trial before it ends. You can take your company file to another accounting software provider, who can migrate your file to their software. 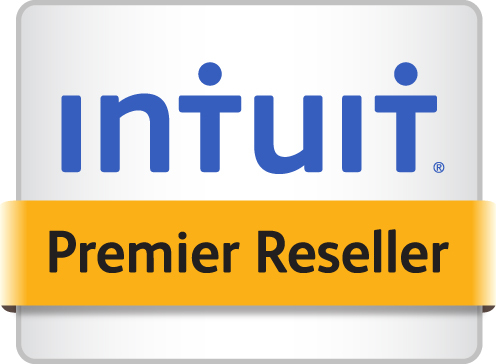 You can take your file to an Intuit Reseller or QuickBooks ProAdvisor and have them access the data for you. Receive a copy of QuickBooks Pro for FREE when you sign up for a new Merchant Account with service contract and are approved by the end of the month or you can choose a higher level accounting software and we will apply the equivalent discount. Sign up for merchant accounts, payment gateways, gift/loyalty cards, merchant cash advance/ loan, check, EBT, Debit and payroll services that we offer through our Online Merchant Application. Account software download Accounting software affordable for small business All About QuickBooks Enterprise Best Accounting software Best pricing on QBES 2019 Is QuickBooks Enterprise right for my company most popular accounting software Most recommended accounting software in the USA QBES QuickBooks Enterprise QuickBooks enterprise download QuickBooks enterprise sale Which accounting software is right for my business?